We are crossing our fingers for an abundance of wildflowers this spring! 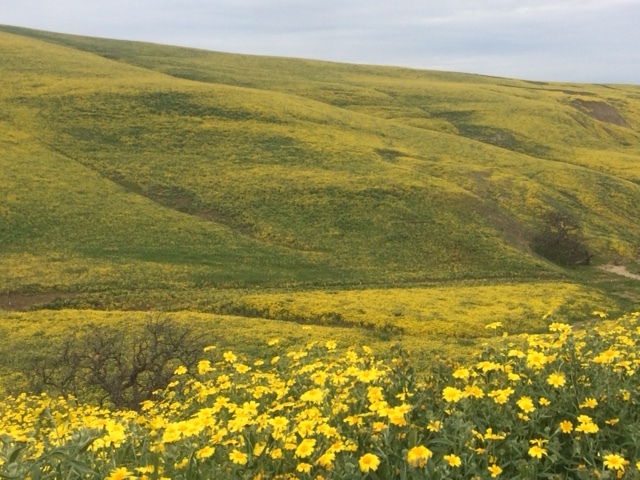 Two years ago, we were blessed with a fantastic superbloom, and we anticipate with winter’s rains that there will be another one this spring. 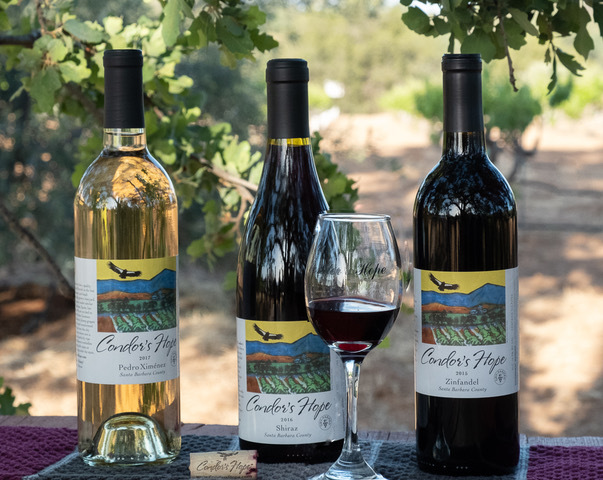 We invite you to experience the splendor of the flowers and enjoy a barbecue luncheon at our vineyard, including a nature walk with Condor’s Hope’s co-owner and California natural history expert, Steve Gliessman. We’ll have an in-depth conversation about our dry-farmed wines, as new and limited releases will be paired with locally-crafted appetizers, lunch and desserts. We expect to release our 2018 white Pedro Ximénez wine and our 2018 Zinfandel Rosé which we will enjoy with our old vine zinfandel and shiraz vintages. Music will be provided by the Seabright Serenaders, Paul Rangell and Emily Abbink, who play lively dance music from the old world & new inspired by Italy, Mexico, New Mexico, Puerto Rico, and the American traditions. * Overnight accommodations are available at Condor’s Hope Ranch, as well as the Cuyama Buckhorn, a local inn offering a special rate for Wine & Wildflower guests. An additional discount is available for wine club members & Los Padres Forest Watch members making reservations for 4 adults or more. Fee then is $55 per person. A portion of the proceeds will be donated to Los Padres Forest Watch for their work to preserve and conserve the Los Padres National Forest and habitat for condors. Space is limited. We encourage you to make your reservations now by completing the registration below. Make a weekend of it! 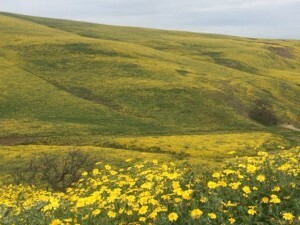 Spend the night at Condor’s Hope or the Cuyama Buckhorn, and visit the Carrizo Plain on Sunday. Unfortunately, we are unable to accommodate additional dogs at the vineyard. To sign up for our Wine & Wildflower event, please complete and submit this form. We will then send an invoice to your e-mail for the payment. Upon payment, we will send you a confirmation of your registration. The luncheon will include vegetarian and chicken options. Our goal is to source fresh, organic and local foods. Please let us know of any special requests including dietary preferences of any of the people in your group. Your reservation fee includes the full luncheon; wine tasting and paring; vineyard tour and nature walk. The fee is • $65 for wine club members • $80 for non-wine club members • $55 for LPFW members • $55 for Cuyama Valley residens • $55 for young folks 16 & under. • Wine Club members who make reservations for 4 adults or more receive a discount fee of $55/person. If you are making your reservations as a Wine Club Member or LPFW member, please mark the number of people below. Wine Club members & LPFW members who register or 4 adults or more receive an additional discount. Please do not include youth 16 & under in this response. If you are making reservations as a non-wine club member, or some of your group will be registered as non-wine club members, please put the number below. Please do not include youth 16 & under in this response. If any in your group is 16 or under please put the number below, so they receive the special youth rate. Space is limited. Reservations will be accepted on a ‘first come first serve’ basis. After you submit this form, you will receive an e-invoice for your payment sent to your e-mail from Square. This is easy and secure to pay online. Once we receive your payment, we will send you a confirmation of your reservation. I agree to pay my total fee when I receive the e-invoice. Refund Policy: Full refunds will be given for cancellations prior to March 1st; 50% refund until March 15th. Sorry, no refunds after March 15th. I agree to the payment and refund policy for the event. Overnight lodging is available. 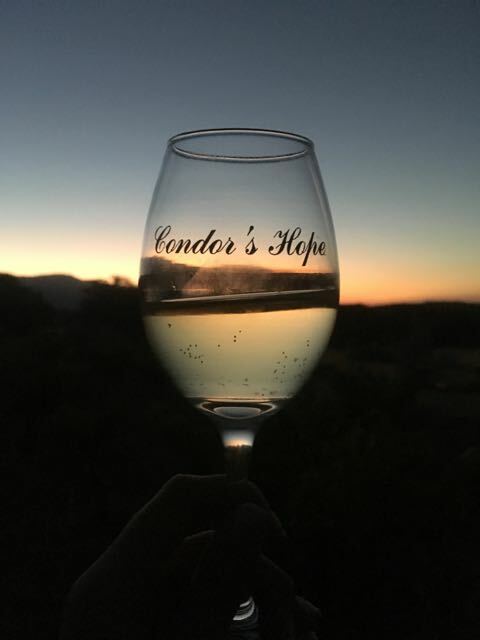 Please let us know if you'd like us to send you a list of accommodations at or nearby Condor's Hope Ranch. Yes, please send me a list of accommodations. Please let us know of any special requests, comments, or questions. We will send directions to Condor's Hope with your reservation confirmation. We look forward to sharing Wine & Wildflowers at Condor's Hope Vineyard with you. You should receive an e-mail invoice from Square within 24 hours.